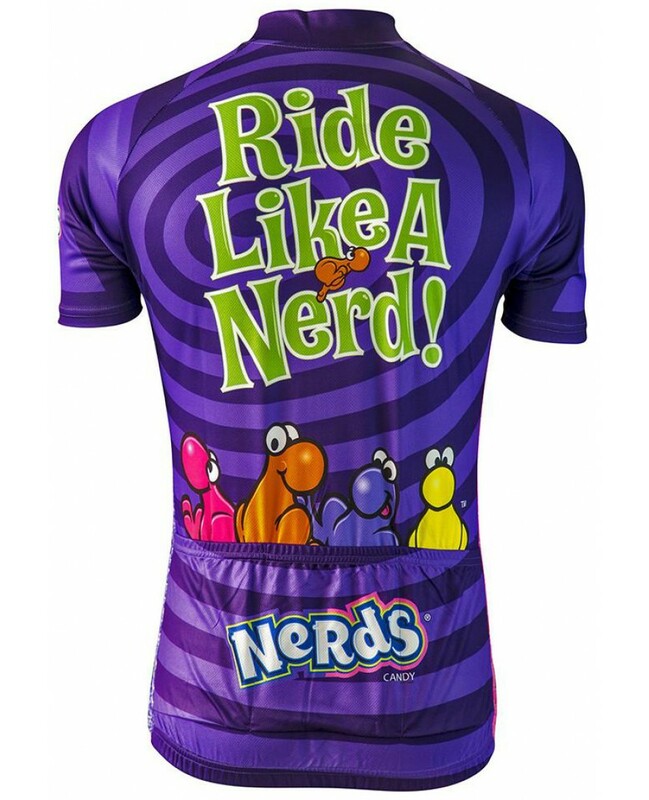 Nerds ride proud! Proclaim your glory in this bright and beautiful jersey from Brainstorm Gear! These adorable little characters and vibrant purple swirls are guaranteed to get noticed. 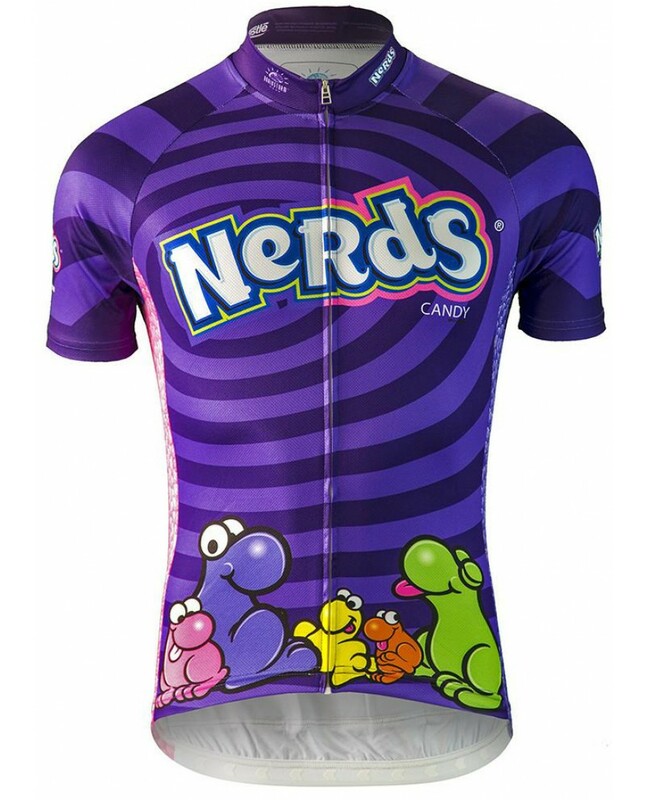 Officially licensed by Nestle Candy, this jersey showcases our top of the line printing process, and our high-tech fabric will keep you dry and comfortable on the most challenging of rides! Let everyone know who really runs the world, and Ride Like A Nerd! Full Length Front zipper and three rear pockets for storage.